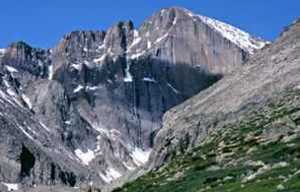 Hidden Valley Ski Area officially opened in 1955, about 10 miles from the town of Estes Park, Colorado. It got skiers to the top with a pair of Poma and T-Bar lifts. But its status as a favorite ski area for locals dates well before then. In the 1930s, the National Park Service began plowing Trail Ridge Road, the 48-mile route through Rocky Mountain National Park, which is now closed to vehicular traffic in the winter. The “ski shuttles” were olive green, canvas-covered army trucks that drove skiers and their equipment to the upper valley from whence they skied down to the base of the valley through powder fields and pine groves. The ski area featured an impressive 2,000-foot vertical drop from 11,400 to 9,400 feet, and by the time lifts began turning in 1955, the terrain was divided for each level of skier—30 percent beginner, 30 percent intermediate, and 30 percent expert. There was also a base lodge with cafeteria and gift shop, ski patrol headquarters, and a large parking area. 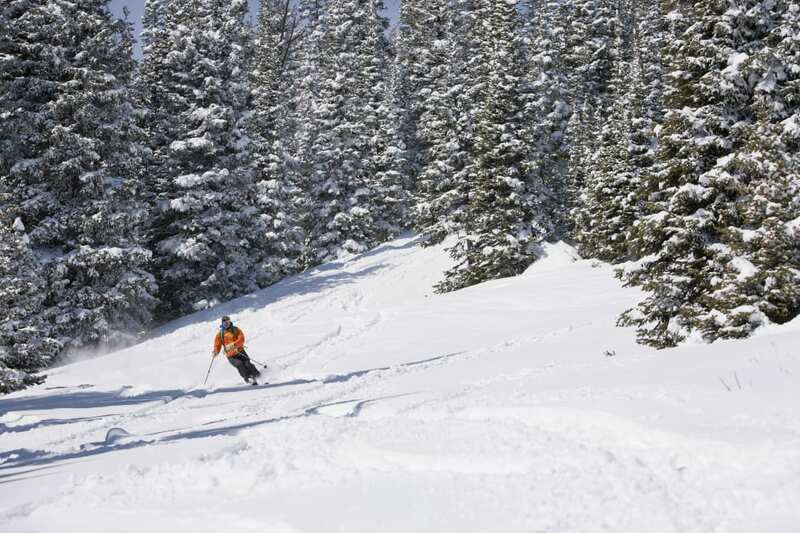 A double chairlift was added in 1971, and the ski area became frequented mostly by Northern Colorado residents who would otherwise face a long drive to the larger ski resorts along Interstate 70. In 1984, you could buy a season pass to Hidden Valley for $100, and an adult daily lift ticket went for $10. However, in the late ’80s, it became apparent that Hidden Valley couldn’t compete with the bigger Colorado resorts. Following a meager snow season during which skier visits dropped by nearly 33 percent, Hidden Valley removed its lifts and closed ski operations in 1991. 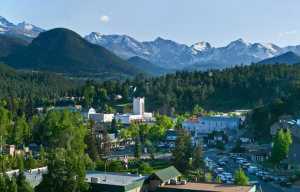 But while the ski area is gone, the mountain remains, and it has become a popular destination just a short drive from Estes Park for all kinds of fun in the snow. Although some of these ski slopes of yore are more narrow (they used to build them that way), the terrain is open for backcountry access, so skiers and snowboarders willing to earn their turns get a taste of Hidden Valley in its heyday. The powder stashes are plentiful on the higher slopes, most of which are relatively low-angle. 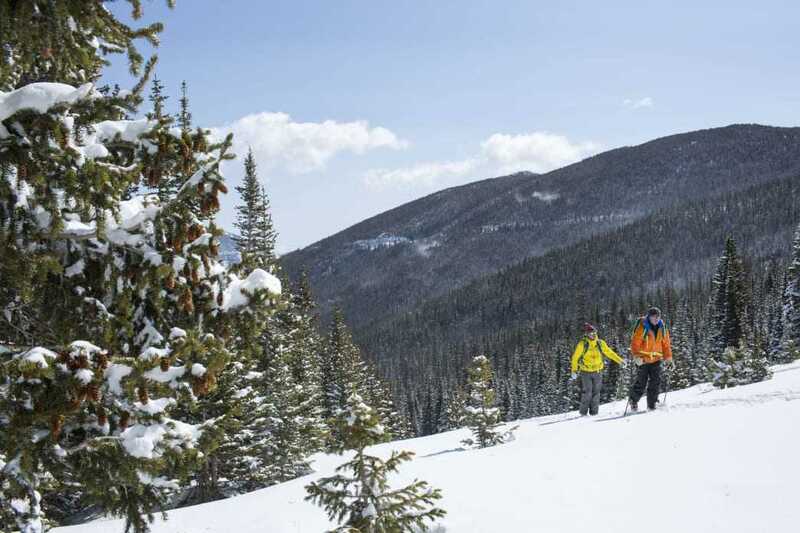 Still, backcountry skiers and riders should always come prepared with beacons and avalanche gear—and know how to use them. While there is no longer an army truck (or any other motorized vehicle) to take downhill enthusiasts to their dream stash at the top of Trail Ridge Road, the unplowed road makes for an ideal uphill route on skins or snowshoes, and the views become more stunning the higher you go. Of course, winter adventure in and around Hidden Valley doesn’t have to involve any equipment whatsoever. 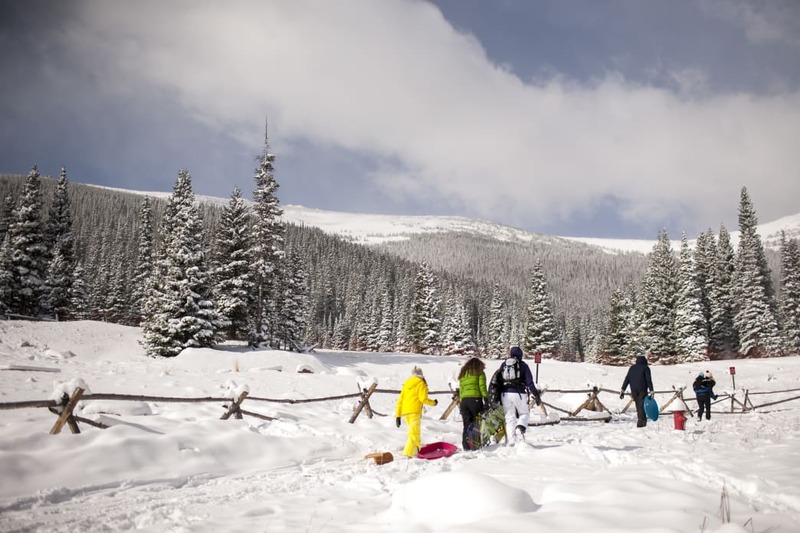 The former ski area is a wonderful place for a winter picnic. Its base area is flecked with several bench tables. And if you use your imagination, you can think about the days gone by, the kids who learned to ski here, the culture that developed here, and the fond memories that remain. 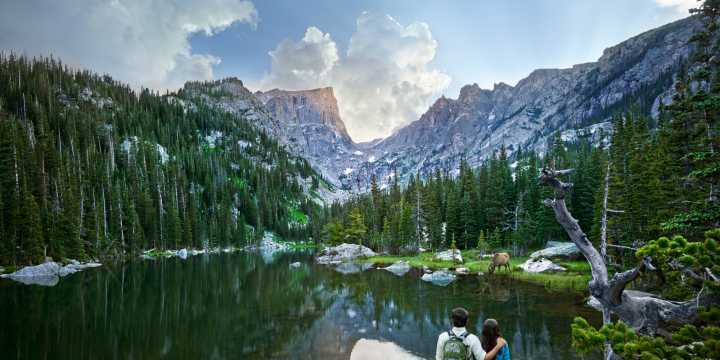 Written by Shauna Farnell for Matcha in partnership with Visit Estes Park.